For most of us our homes are a hub for our personalities. Like fashion, interior design is an extension of our personal style. Similar to fashion investment pieces we strive for, we want good quality and longevity when it comes to pieces for our home however do not want to compromise on good design. In an age of fast fashion, buy-one-get-one-free and 4 hour delivery, so many of us are lured into consuming without thinking long term. The temptation of snapping up a bargain is all around us, but the disappointment of buying an object that quickly falls apart, becomes irrelevant or is superseded by a newer, more advanced model, is all too common. Of course, a quick fix in your interior is tempting but rarely leads to owning objects that have sentiment. Having recently renovated a barn in a Scandinavian style, with white limed beams and shades of grey and anthracite, I have been looking for key design pieces to finish that look. 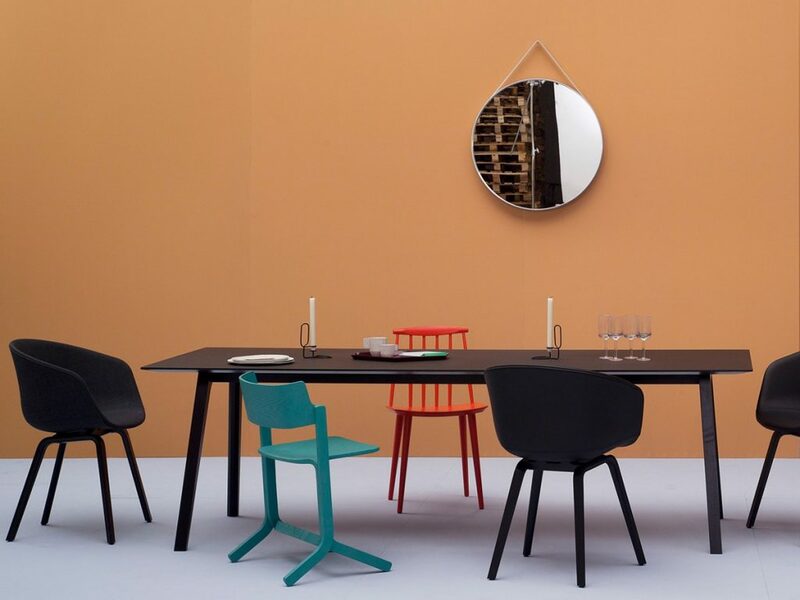 I have always been a fan of minimalism but I wanted the barn to feel homely so I wanted to mix elements of contemporary design with traditional alpine charm and that’s when I came across Nest.co.uk. Nest.co.uk choose not to be ‘on-trend’ or fashionable because they choose timeless style. At Nest.co.uk they do not do this season’s look but sell products that will be forever fabulous, because their ethos is to buy once and buy well rather than buy something that will need to be replaced over and over again. They sell furniture that can become a reflection of someone’s personality, style and desires and this was just what I was looking for! 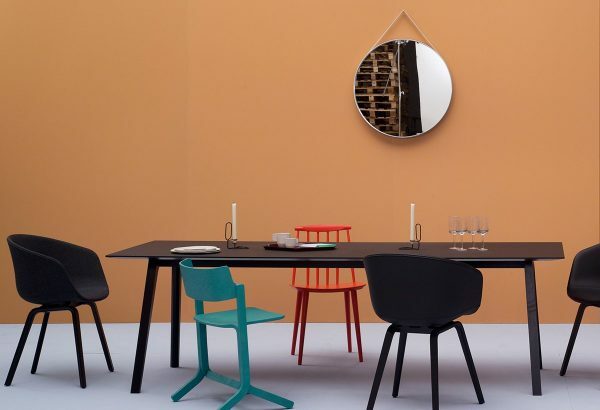 Their ethos as to design spoke to me and their catalogue of products became an endless list of “must haves”. It might be the little trinkets that personalise your desk at work, or the mood lighting that relaxes you after a long day. Whatever it is, the objects around us reflect our everyday routine that defines who we are, or perhaps, the person we want to be. The barn has been a labour of love with a lot of the manual labour done my my partner and I; because of this we hold more respect for our home and what we put in it. 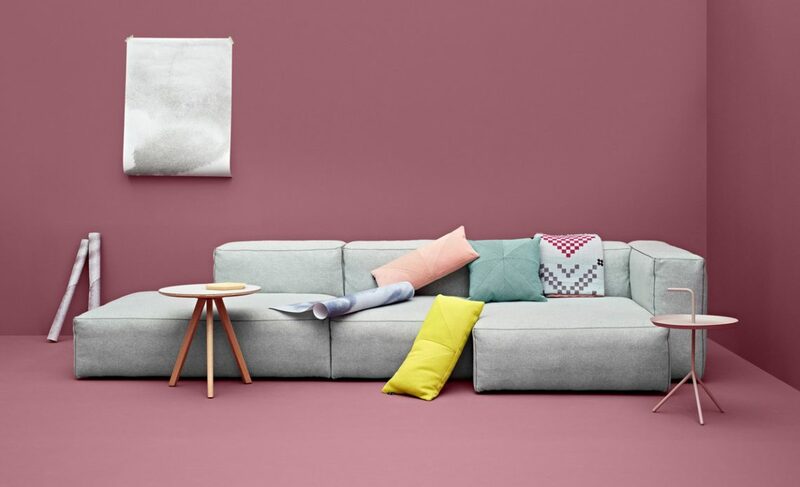 When looking at what Nest.co.uk offer and the designers they represent I was drawn to the Scandinavian brand Hay, their simple elegant lines and block colours were perfect for our design aesthetic. 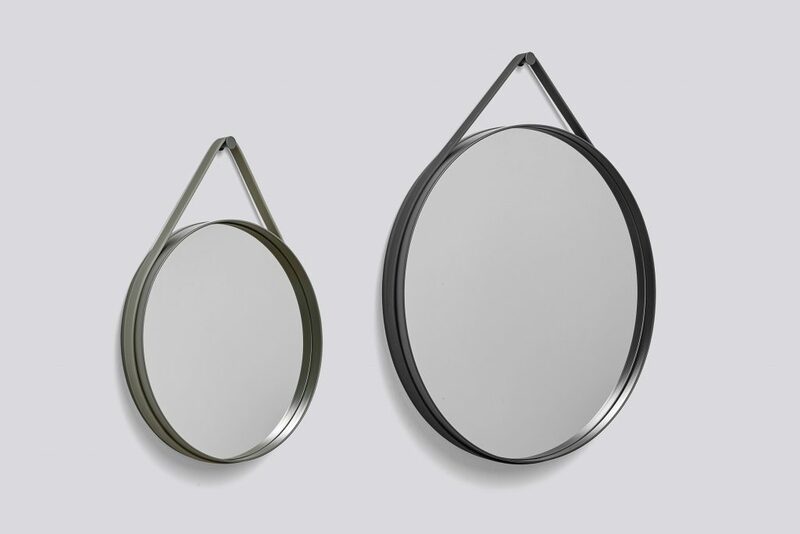 After much deliberation I chose the Hay Strap Mirror in Grey in a 70cm diameter. The mirror is based on the concept that restraint is best. 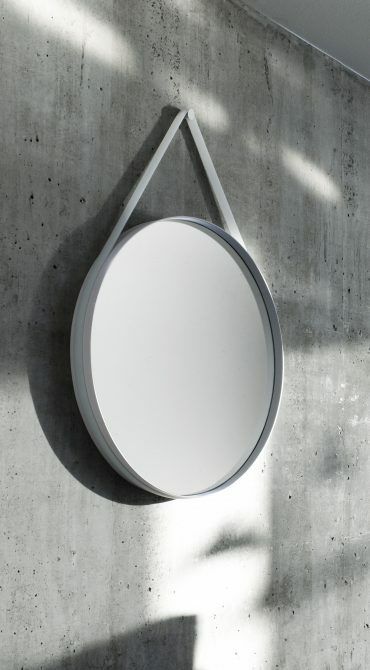 The Strap Mirror has kept the design stripped to a clean, circular shape and features a groove around the edge to contain a sturdy rubber strap that is used to mount the mirror on the wall. 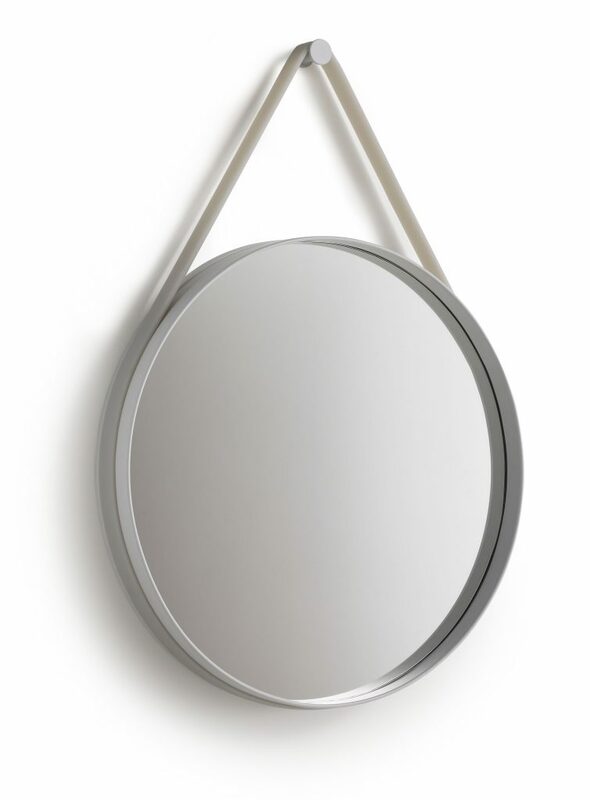 With its functional and minimalistic design, the Strap Mirror is perfect for hanging in bedrooms, halls and like us living rooms. This mirror is available in two sizes to suit your needs and your home and is made from powder coated steel so the piece is both sturdy and sleek. 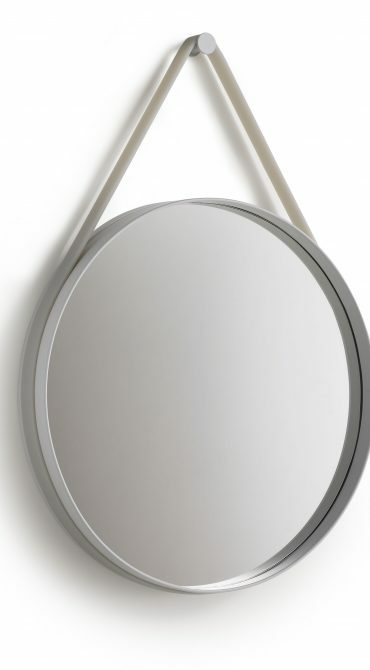 The instructions that come with the mirror are pretty straight forward but this mirror is heavy so be sure to hang it on a wall that can support its weight! We have hung our mirror in our living space thus allowing it to aid in supporting the natural light in this area as well as being in the perfect position for checking oneself out before leaving the barn! It might sound strange (because is just a mirror) but I am in love with this piece, it is so simple and elegant, the attention to detail on the fixtures and fittings are what make this mirror and the colour matches in to our colour palette perfectly. 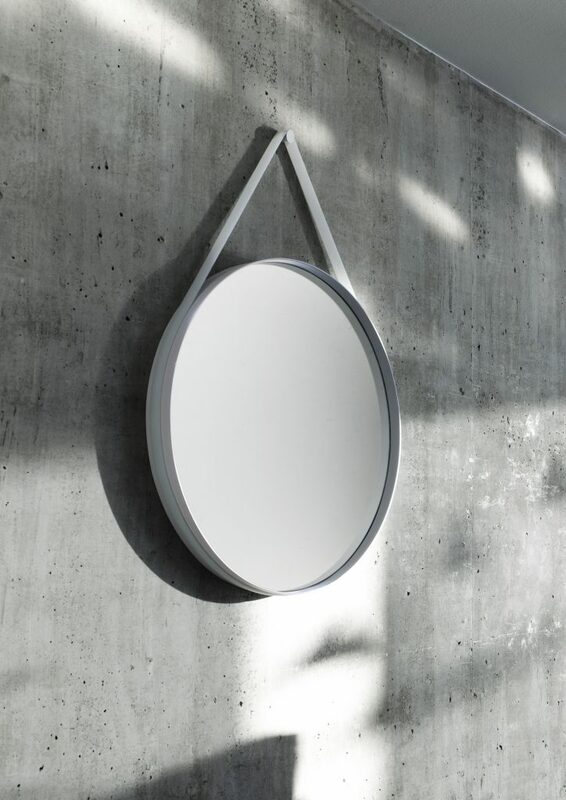 This mirror is indeed a design classic; beautiful, iconic, authentic and future-proof. My experience with Nest.co.uk was seamless and professional and when I needed to speak to a representative they were prompt to answer and super friendly. What I loved about them most is they are not a big corporate machine, they genuinely love what they sell, endeavouring to make Nest.co.uk a destination for design and a pedestal and celebration of talent, creativeness and distinction. I could not recommend Nest.co.uk enough for your home design requirements, the website is easy to use, the stock they hold is impressive (especially for a small independent retailer) and their customer service is super efficient. If like me you are after only the best for your home then look no further than Nest.co.uk.